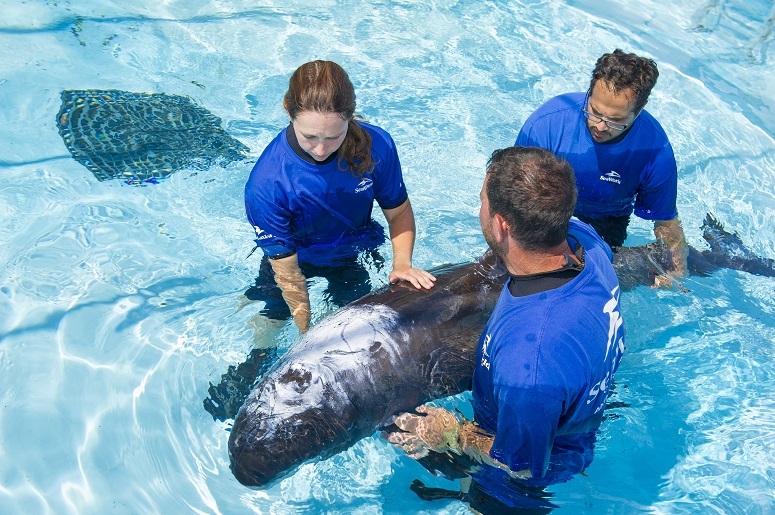 On July 26 the SeaWorld Orlando Rescue Team began round-the-clock care for a critically ill pygmy killer whale that beached itself off the west coast of Florida. The National Oceanic and Atmospheric Administration (NOAA) directed the dolphin to be sent to SeaWorld Orlando’s rescue facility. A pygmy killer whale is very rare to find in shallow waters near the coast and even rarer to see beached and in need of rescuing. These whales typically travel in groups of 10 to 30. Pygmy killer whale share similar physical characteristics of a killer whale, which is how they get their name – pygmy killer whale. The female dolphin arrived at SeaWorld’s Rescue Facility around 4:00pm yesterday and weighed 255 pounds and is 210cm long. The dolphin appeared to have struggled through a jagged oyster bed and was beached for some time during the mid-day heat wave, exposing it to the harsh rays resulting in dehydration. Upon arrival, the dolphin was placed in a quarantine area where the SeaWorld Animal Rescue Team and veterinarians provided immediate treatment and care including, fluids and antibiotics. The dolphin came to SeaWorld with a zinc oxide coating on her skin to help protect it from the sun exposure she endured. Currently the rescue team is in the pool with her monitoring her minute-by-minute to support and help her navigate while swimming. 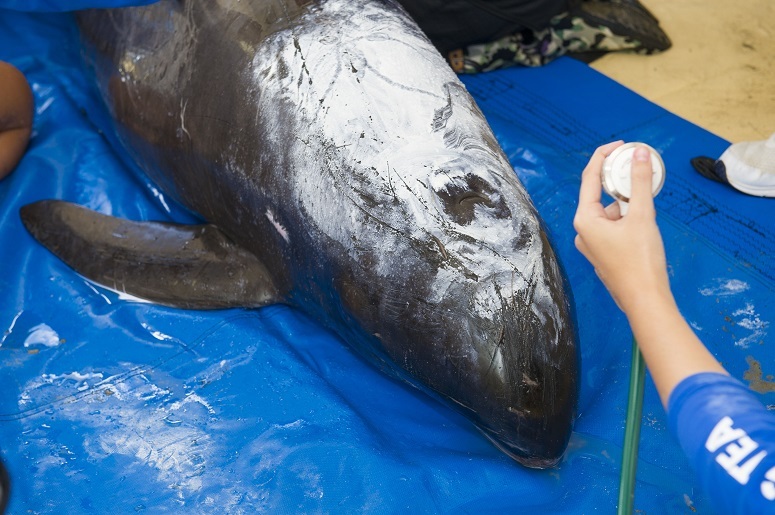 The dolphin will continue to receive round-the-clock care from the animal care team and more treatment will be administered if needed once results come back from blood work. For updates on the pygmy killer whale, be sure to stay connected by visiting SeaWorldCares.com. 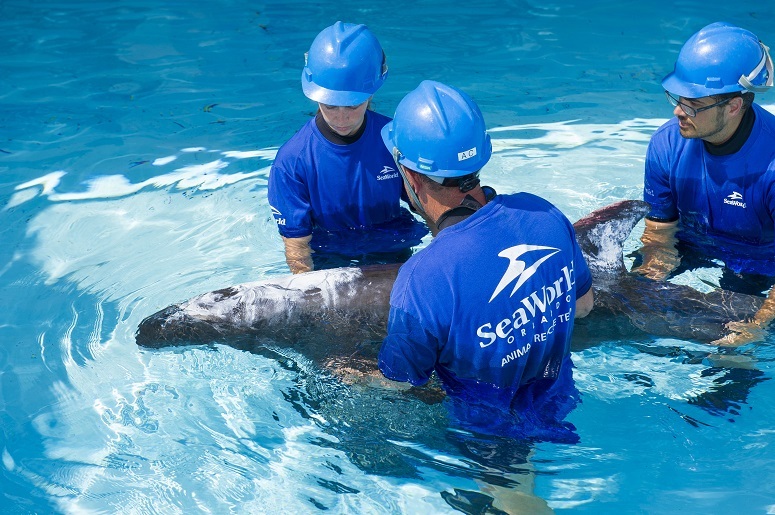 SeaWorld Orlando’s Animal Rescue Team is on call 24/7 to save and care for injured, orphaned or ill animals. 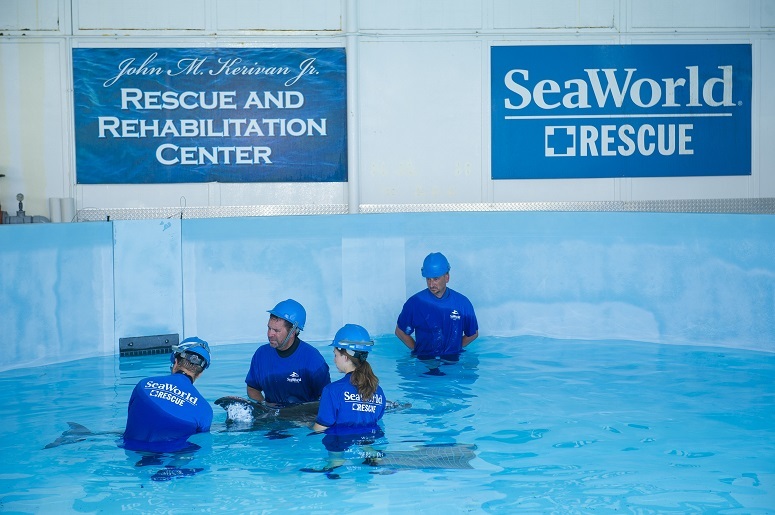 In collaboration with the government and other members of accredited stranding networks, SeaWorld Parks & Entertainment operates one of the world’s most respected programs to rescue ill and injured marine animals, with the goal to rehabilitate and return to the ocean. SeaWorld animal experts have helped more than 28,000 animals in need - ill, injured, orphaned and abandoned - for more than five decades. PHOTOS: © 2016 SeaWorld Parks & Resorts Orlando. All Rights Reserved.